I'm sure you're familiar with the phrase, "Friends with Benefits". If not, go watch the movie by the same name staring Justin Timberlake and Mila Kunis. 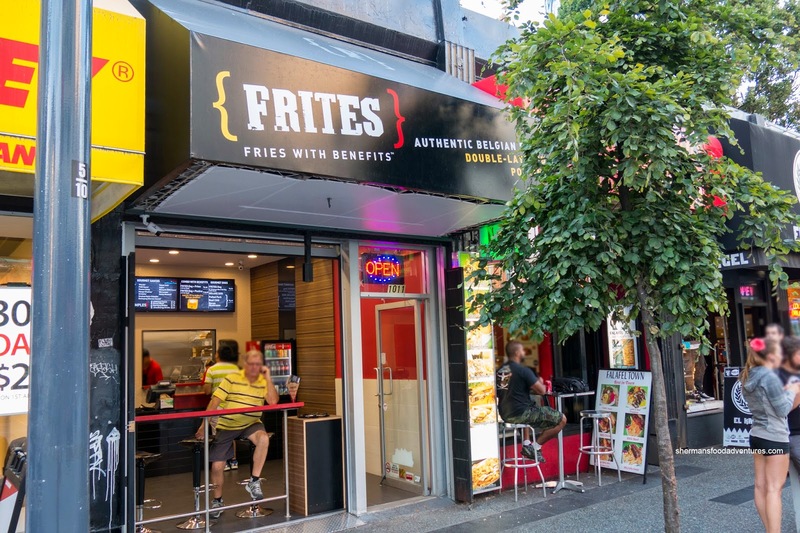 Wait, on second thought, just Google it... Well, interestingly, there is a new poutine joint in town name Frites - Fries with Benefits. Um... Does that mean we can snack on these suckers and have no remorse of guilt? Wham, bam, thank you yam? No, they don't use yams, but that was the only thing that rhymed... Anyways, I rounded up the kids (they love poutine) and headed down to Frites in the former location of Dougie Dog. A word of warning for those wanting to dine-in, with only 4 bar seats, it was just enough for us (barely). 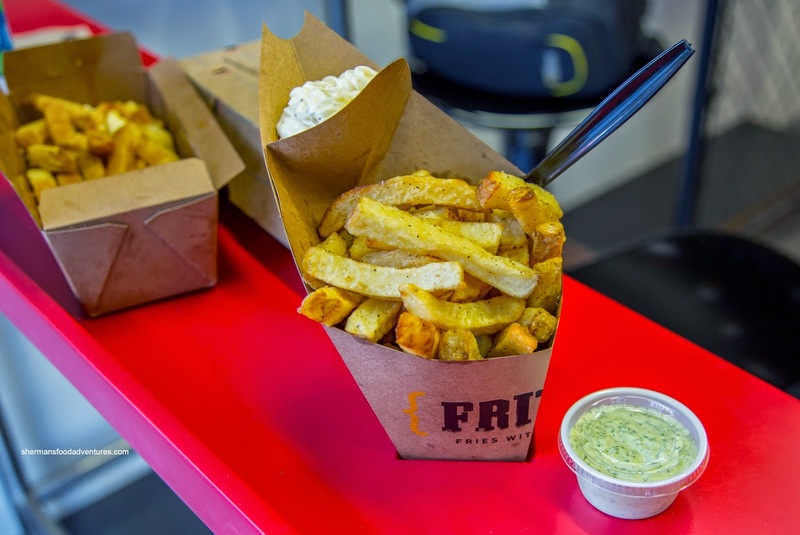 We started off with the basic being the large Authentic Belgian Frites with 2 dips (roast garlic and lemon dill). These fairly large fries were potatoey and only lightly crisp. They weren't greasy while being adequately salted. The roast garlic dip was sufficiently flavourful, yet could've been even more garlicky. On the other hand, the lemon dill was full of impact especially from the dill. We also got one Frites Dog with Korean hot pepper sauce. 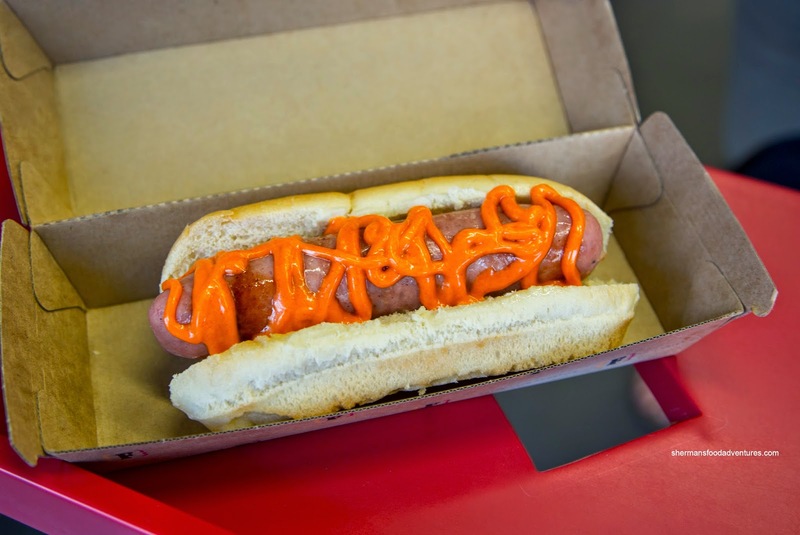 This combination of hot sauce and mayo was moderately spicy and plenty creamy. The beef hot dog was large and meaty where the casing exhibited an appealing snap. The bun was a bit cold and plain, maybe some toasting or steaming would've helped. 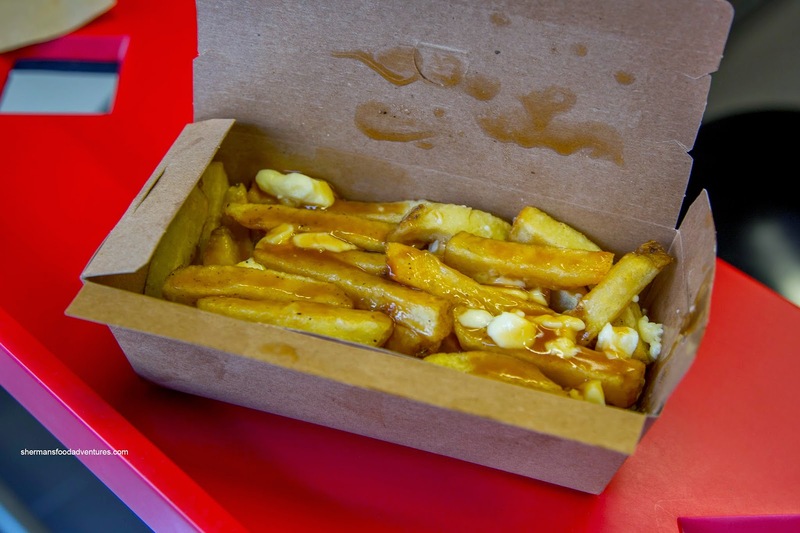 As a baseline, we had the Traditional Poutine which featured a dual layer of gravy and cheese curds. Since the frites were the thicker variety, the poutine was starchy and heavy. Combined with the good amount of gravy (most of it was in the middle and bottom), all of the frites became even heavier. With the cheese curds being nestled in the hot fries and gravy, they were melted and I could not see if they had any squeak or not. Furthermore, the gravy was on the saltier side albeit of a silky rich consistency. 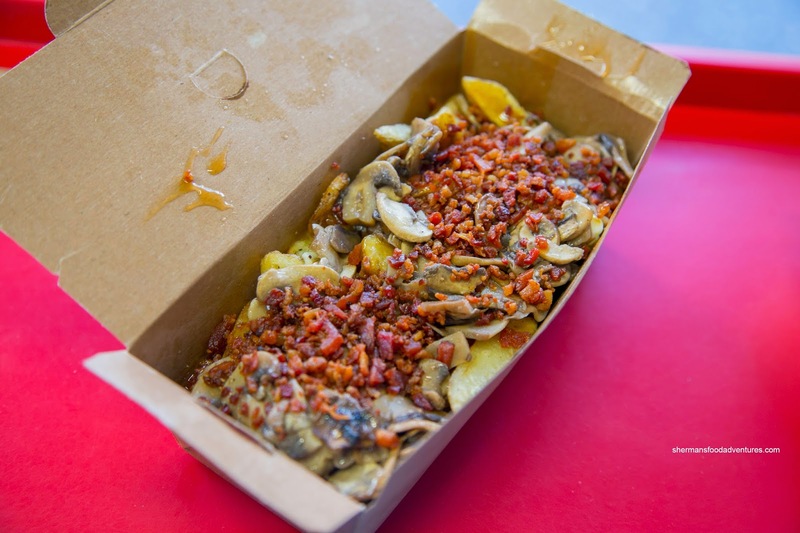 Now as for the Bacon Mushroom Poutine, it was more interesting as they piled on the toppings. There was almost as much mushroom, bacon, cheese and gravy as the frites. As such, there was plenty of various flavours such as salty, woodsy, smoky and cheesy. My daughter couldn't stop eating it. Overall, we thought that Frites was okay, but not nearly as good as La Belle Patate and The Spud Shack.